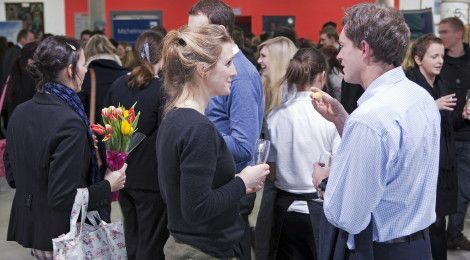 Plymouth University, in partnership with the Federation of Small Business (FSB), are hosting an advice and networking evening for new and small to medium businesses. Plymouth University, in partnership with the Federation of Small Business (FSB), are hosting an advice and networking evening. The Connect event will be an information one-stop shop for new and small to medium businesses. As part of the partnership with the FSB, Connect aims to highlight to students the kind of attributes and experience employers look for when recruiting graduates as well as the opportunities for entrepreneurship and the possibilities of working in the South West. The event is free to attend for anyone wanting to network and find out what support is available to them and includes a lovely complimentary buffet, sponsored by UCSP Ltd (University Commercial Services Plymouth). For commercial companies wanting to exhibit a contribution of just £30.00 per stand to cover essential costs is requested, making Connect a very cost effective opportunity. The event takes place on Wednesday 11 May, from 5 – 8pm in the Roland Levinsky Building. For more information, and to book your place, click here to visit the University website.